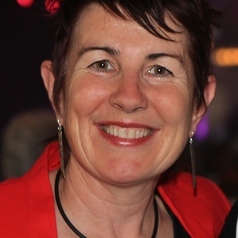 Sue Kildea is a leading midwifery researcher in Australia and the Director of the Midwifery Research Unit, a collaboration between the Mater Health Services in Brisbane, the Queensland University (School of Nursing and Midwifery), and the Mater Medical Research Unit, UQ. Professor Kildea has been undertaking research in the maternity field since the mid-90s. Sue is a registered nurse midwife with clinical, management, policy, education and research experience across both acute and primary health care settings. She is a strong collaborative researcher, with particular expertise in introducing and evaluating innovative models of maternity service delivery, leading research across distances, strengthening rural and remote maternity services, care provision for Aboriginal and Torres Strait Islander women, and translating research into practice.